Did you think endurance racers had a break following last weekend’s Daytona 24? Did you think endurance racers had a break following last weekend’s Daytona 24? Think again. 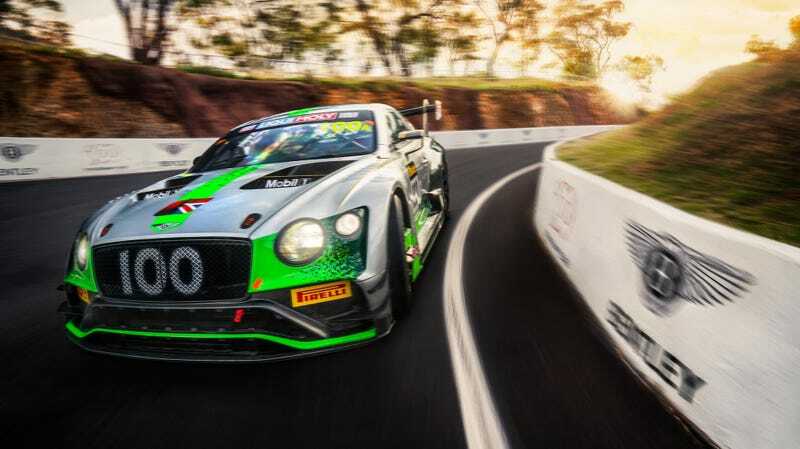 The Bathurst 12 Hour race begins tomorrow morning, and will run from before sunrise to after sunset in New South Wales. The Astons, Porsches, and Mercedes-AMGs are blisteringly quick, but the new Bentley Continental GT3s look absolutely badass.